Evelyn Lozada net worth: Evelyn Lozada is an American reality television star who has a net worth of $3 million. Evelyn Lozada was born in Brooklyn, New York. She is a television personality and entrepreneur who is probably most widely recognized as one of the stars of the VH1 reality series, "Basketball Wives" and as the ex-fiancee of NBA star Antoine Walker. 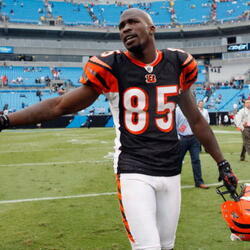 In 2012 Evelyn made headlines when she married NFL star Chad "Ochocinco" Johnson. They were married in July 2012 but divorced a few months later in September, after an incident where Chad allegedly assaulted Evelyn during a fight. Evelyn allegedly found a receipt that showed that Chad had purchased condoms at a store. She confronted him to determine why a married man would need condoms and a fight ensued. Chad was subsequently arrested and dropped from the Miami Dolphins football team. 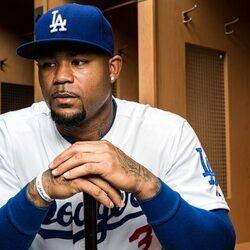 Lozada dated Antonie Walker from 1998 to 2008 and began dating MLB player Carl Crawford in 2013. The couple became engaged in 2013 and had a son Carl Leo Crawford together in 2014 before calling off their engagement in 2017. The reality TV series Basketball Wives originally aired on VH1 from 2010 to 2013 and returned in 2017. Lozada has been featured on all of the show's seven seasons. She also starred on the short-lived reality TV series Livin' Lozada in 2015 which she also executive produced. She has also appeared on episodes of the TV series The Mo'Nique Show, Big Morning Buzz Live, The Insider, Today, The Boris & Nicole Show, Entertainment Tonight, It's Not You, It's Men, Dish Nation, Home & Family, Hollywood Medium, Hollywood Today Live, and The Real. Lozada had her first child Shaniece Hairston in 1993.